The monetary system of the ancient Byzantine Empire was created by Constantine the Great. He continued the reforms of Diocletian (284-305) and put an end to inflation, at least partially. He created a system based on a gold coin, a solidus or solid (gold), made from pure gold (23 ½ k) with a weight of 4,4 gr. The solidus depicts the emperor’s portrait on one side and different scenes on the back, usually a scene with a Victory holding a cross. Also, it had some small gold subdivisions, a semissis or half and tremissis or third. The solidus was marked with the letters OB, meaning, if it is read as letters, obryzum “pure gold” or if it is read as a numeral, “72”, from one pound of gold, the emperor minted 72 gold coins. This coin was produced in the imperial mint of Constantinopol and thus the marking is CONOB. Moreover, coins like this were minted in Thessalonik, Antiochia, Cyzic and so on. 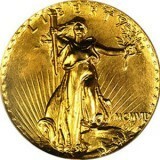 This gold coin was meant to be used on a large scale transaction. Gold was a rare metal. It was used for paying the army, for gifts to the high rank functionaries of the empire or in the great affaires. The solidus kept its value and weight until the XI century. Only in the IX century the title began to become a little bit low, around 20-22 k.
Also, a VI century situation must be mentioned, when the emperor minted some particular gold coins. Instead of 24 siliqua or 4,4 grams, they had a weight of 4,0-4,2 gr., that is 20-23 siliqua. Of course, you can hardly feel the difference between a 4,2 gr. coin and a 4,4 gr. coin but for the imperial house, that minted thousands of coins like these, it meant a big economy of gold. For example, at a mintage of 10000 coins, the emperor saved around 2 kg of gold. These coins were minted with the same dies as the normal solidus. Only some particular marks, like OBXX or +OB+ or something similar, can make the difference. These light coins were meant to be used in external exchanges with the barbarian population. The silver was a rare coin in the ancient Byzantine society. 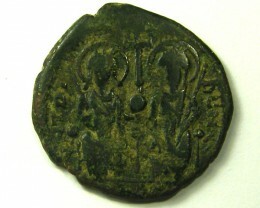 Constantine minted a coin named siliqua, around 2,4 gr. of silver and 1/24 from a solidus (the name siliqua was used for a unit measure for gold: the silver coin corresponded to the weight of silver for a gold siliqua). Also a coin named miliarense was minted, with a weight of around 4 gr. 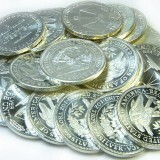 Its name came from “one thousand” meaning that 1000 silver coins like this values one pound of gold. These silver coins were minted only until 400, when they were withdrawn from circulation and the minting stopped. The bronze coinage was the weak part of this system. Originally one follies had a weight of 12 gr. (304), it dropped to 8 (307) and 6,5 (309). In 313 it has a weight of only 3 gr. and in 337, the year of Constantine’s death, only 1,5 gr. During the IV century, different attempts were made and emperors such as Constantius II or Julian (361-363) tried to solve the problems but failed. In 400 AD, the coin, named nummus had a weight of 1 gr. and used in local exchanges, at a rate of 1/7200 for a gold coin. In 400 AD, the monetary situation of the empire was reduced to one gold coin, with 2 subdivisions, for universal trade, and a bronze one, the nummus, for local trade. These lasted until 498. For the period 498-1453, the monetary history of the ancient Byzantine empire is divided in 5 stages. The first starts with the reign of Anastasius and his reforms. It started in 498 and ended around 750 AD. It is characterized by 3 gold coins, 5 copper coins and one silver coin, the hexagram . The second period of time starts around 750 and ends after 1081, and it is characterized by the simplification of the system. The third period of time starts with the reign of Alexius Comnenus (1081-1118). In 1091-2 he introduced a gold coin, the hyperperon or “purified by fire”, and can be traced easily because of the concave shape, not flat as the previous ones. The old tremissis was replaced by a gold coin but with a low finesse of gold. The silver coinage was abandoned and a billon one was introduced, with only 6-10 % silver. This coin was named trachea and also can be recognized by the concave shape. 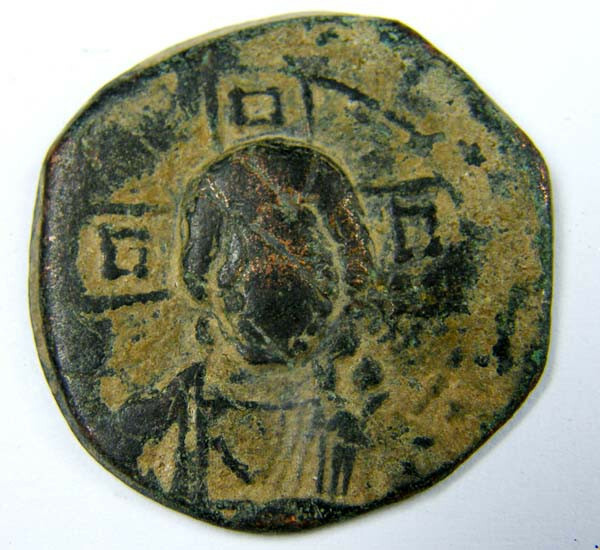 And finally a new copper coin, named tetrateron, was introduced, with a subdivision sometimes made from lead. This system collapsed around 1204, after the fall of the Constantinopol in front of the IVth Crusade. The fourth period of time, lasting from soon after 1300 to 1350 saw the introduction of a silver coin similar to the ducat of Venice, coin named basilicon , or the king’s coins and of a small copper coin, known as the assarion. The fifth period of time starts from around 1350 to the fall of the empire, in 1453, and it is characterized by the complete and total disappearance of gold coins and the return of the silver and copper ones. The empire was too poor to have any gold coins. The gold solidus, inherited from Constantine, saw a long time in circulation. For VI century, this coin weighs around 4,35-4,40 gr. and has a diameter of 19-21 mm. On one side the emperor is depicted, but his portrait has no accuracy, with no pretense for being a close resemblance. The emperor is usually with a three quarter or fully frontal bust, carrying a spear and usually in armor. The reverse usually shows a Victory supporting a cross. From the reign of Justin II (565-578), the seated Victory is preferred. From the reign of Maurice Tiberius II (578-582) a Cross in steps is preferred. The VII century started with a dramatic event, the reign of Phocas. He is the first emperor from that time with a beard. Even when the emperor is young, as Constans II (641-668), they acquire large beards and moustache during their reign. Also from that time, starting from the reign of Heraclius (610-642), usually the gold coins have the portrait of the emperor with a cross in his hand on one side and his image with his son or sons on the other. The start of the VIII century saw a modification introduced by Justinian II, who in 692 removed his portrait from the obverse and replaced it with Jesus’ portrait. On the other side, the emperor is depicted holding a cross. But these didn’t last for long. The VIII century saw a great civil war caused by the supporters of the sacred representation of the icons and the supporters of the banishing of the sacred portraits (“iconoclast emperors”). Once again, the emperor appeared on the coin. This time on one side appeared the emperor’s ancestors usually the father and grandfather and on the other the emperor and his son as heir. This was a political program of legitimacy and also helps dating the coins, by having a clear chaining of this series. Around 850, again the Jesus portrait was restored, sometimes seated. This became the symbol of the solidus or the nomisma , as it was named in Greek. Emperor Nichephoros II Phocas (963-968), because of financial problems, introduced a new gold coin, named tetrateron, or quarter, smaller and thicker, in contrast with the full weight coin, named histamenon , who remained large and thinner. Michael IV (1034-1041) made for the first time a reduction of the title, the first since Constantine the Great (308-337). It must be said that before his imperial title, Michael IV was a money exchanger and the sources of that time mention even a counterfeit… In 1071, after the defeat of the empire at Manzikert, the finesse was only 8 k out of 24 and sometimes it was only a gold plated coin. In 1092, Alexios I Comnenus introduced a new gold coin. It had a finesse of 20 ½ k instead of the traditional 24 and it was named hyperpera that is “super refined by fire”. It was a large (around 26 mm) and thin coin, of concave shape. Also, Alexios introduced a coin with only 6-7 k fine, named trikephala or hagiogeorgata , after the names of the types, three headers or Saint George. The obverse usually depicts Jesus or the Virgin and the reverse normally a standing emperor accompanied by Jesus, the Virgin or one Saint. In 1261, the hyperperon was reduced to 15 karats and 12 during the reign of Andronicus II (1282-1328), with the weight being irregular. These meant that the coin was valued after the weight and not the name. The last gold coin was minted by John V and John VI (1347-1352). Silver was a rare coin in the Byzantine Empire. It wasn’t minted since 400 AD when the emperor Heraclius decided in 615 to introduce a coin named hexagram (or six grammata ), with a weight around 6,40 gr. The coin shows the emperor or emperors on one side and a cross on steps on the other sides. It was minted from 615 to around 680 when it was dropped as an effect of the old system of Anastasius and Justinian, based on gold-copper. Leon III introduced in 720 a silver coin known as the miliaresion, after an old coin minted by Constantine the Great and his successor. It was thinner and broader then the hexagram and the weight was only 2 gr. On one side a large inscription is depicted, on 4 lines, with the emperor’s name and title and on the other a cross on steps (for example, “Leon by grace of God emperor” in the VIII century the word Romaion meaning “of the Romans” was also introduced). But it wasn’t until Theophilus reign (829-842) that this coin became a regular part of the currency system. In the X century, the coin depicted a bust of Jesus. The cross became more elaborate, sometimes with the icon of the Virgin inside. From the reign of Basil II, around 989, the Virgin with the Child is depicted on one size. It weighed around 2 gr. at the beginning. In the X century it went up to around 2,5 and in the XI century saw a similar fate as the gold nomisma. In 1091-1092 it was replaced by a billon coin, a aspron trachy , depicting Jesus on throne on one side and the Emperor standing with Jesus, the virgin or one of the saints on the other. It was a billon coin, with only 6-10 % silver and was 1/48 part of the gold hyperperon. It is believed that it was one quarter of the old miliaresion . It is very hard to distinguish this coin from a bronze one, only the concave shape can help you identify these coins. It was dropped in the XIV century, when its value dropped to 1/120 for a gold coin. Around 1300, Andronicus introduced a coin similar to the Venice silver ducat. 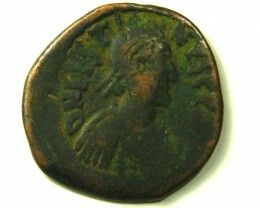 The name was basilicon , or “the coin of the emperor”. Unlike the trachy , it was small and flat and made of pure silver. It was a value of 1/12 of a hyperperon. It didn’t survive much, because of the silver shortage and was dropped soon after 1350. 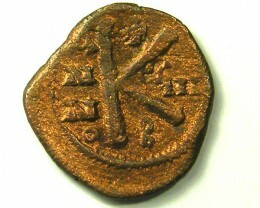 Instead, a new coin was introduced, named stavraton , after the name of the cross in Greek, stavra . 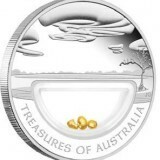 These coins replaced the silver basilicon but also the gold coin. It had a weight of around 8-9 gr at the beginning, also with a half and eight. It was minted until 1453 (Constantine XI, the last emperor, ruled from 1449 to 1453. Just in 1990 one hoard of around 19 stavraton minted by this emperor was discovered on the market. It depicts on one side Jesus portrait and on the other the emperor’s head. In 498, emperor Anastasius (491-518) made a significant change. He was a very capable emperor and general but also a financial genius (it is said that he left the treasury so full, that it almost collapsed because of the weight). He realized that the empire needs a good cooper coin. But all he had was the low weight nummus. He realized that if he tries a monetary reform, it will not lead anywhere. Yet he introduced some heavy coins, marked with numerals, as multiples of the nummus. The highest was the 40 nummus coin. It was marked with the letter M and had a weight of around 9 and after 512, 18 gr. The name of the 40 nummus coin was follis. 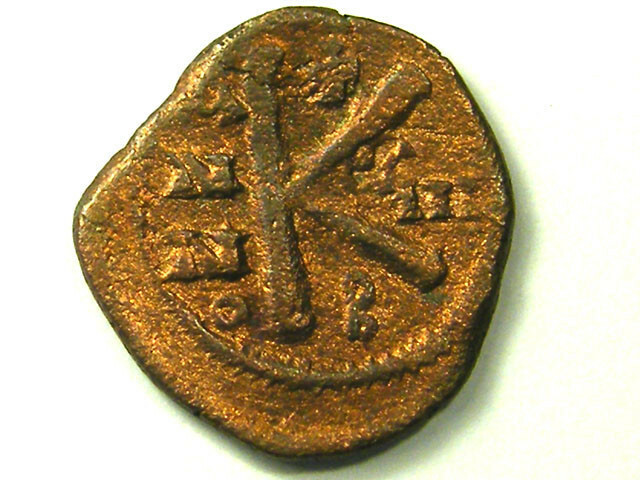 The 20 nummus coin was marked with the letter K, the 10 nummus coin with I and also a 5 nummus coin, marked E. Starting from the reign of Justinian (528-564) the weight increased, one follis weighed around 25 gr and after 541 dropped to around 22. 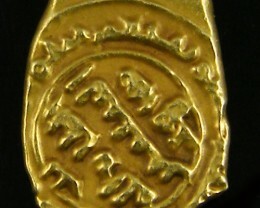 One gold solidus was around 288 follis. In the VII century, the follis had declined. In 650 for example, the follies had a weight of only 3,5 gr. In the VIII century, this situation continued. The decanummia, or I, and the pentanummia, or E, were struck for the last time during the reign of Constantine V (741-775). The half follies marked K lived only a little bit more, during the reign of Leon IV (775-780). In the IX century, the follies were the only copper coins in circulation, with a weight of 8 gr, like during the time of Michael II (820-829). These coins have the imperial figure on one side and the emperor’s name and title on the other side. 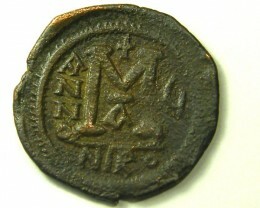 Emperor John I Tzimisces (969-976) introduced a follis without the emperor’s name or figure. These anonymous coins depicted the portrait of Jesus on one side and the legend Jesus Christ, King of Kings on the other side. These have a large number of types, from Class A 1 to A 2 ( or 3) to L.
Around 1071, the weight was around 6 gr. Alexios minted some bronze coins like these anonymous ones but in 1091 he introduced a new bronze coin, named tetarteron or tetarton. It was small and flat and probably was ¼ of one old follis. They were struck in a large number until XII century and usually depicted the bust or standing figures of the emperors and one of the Saints, representations of Jesus, the Virgin and saints, and imperial or other monograms. Half tetateron are also known sometimes made from lead. In the XIII century, this coin became scarce on the market, because of the decline of the billon trachy. During the reign of Andronicus II and Andronicus III (1328-41) it was replaced by a coin named assaria. The designs usually change every year, leading to a large number of types. Also these coins were minted with limited technological resources and so it is almost impossible to find a decent coin, like a VF or even a F. When, in 1367 the stavraton was introduced, the assaria was replaced by the copper denomination named tournesion and a follaro, a tiny coin of just 0,5-1 gr, that lasted until the fall of the empire. Some of the most beautiful bronze coins of the Byzantine times are the so called anonymous follies of the X-XI century, with the portrait of Jesus Christ on obverse and a large variety of reverses. These types of coins were first studied by Wroth. In 1908, in his book Catalogue of Imperial Byzantine Coins in The British Museum, he was the first who made the description of these coins and gave an approximate chronology. After 20 years, his conclusions were revised by Bellinger, who made some small changes. In 1954, Margaret Thompson, in her volume of coin finds from the Athenian Agora, made the last final modification concerning the description and the dating of these coins. It is very strange that starting from the reign of John I Zimisces (969-976), the bronze coins of the Byzantine Empire stopped bearing the head of the emperor. Yet, an author named Scylitzes left us the formal testimony that John issued bronze coins with the head of the Saviour and a religious inscription in Latin that meant Jesus Christ King of Kings (or, by another translation, Emperor of Emperors). Coins of this type were minted in the next period of time, until 1118. Moreover, until the reign of Constantine X Ducas (1059-1067), the emperor’s head didn’t appeared on the coins. Wroth divided the coins in ten classes, numbered from I to X. Bellinger and Thompson used letters from A to L and numbers for the subclasses. Obv. Head of Christ, letters IC- XC on both sides. +„MANOVHΛ right and left. Rv. Legend on 4 lines: IhSÐ§S/ XRISTÐ§S/ bASILEÐ§/ bASILE. Floral ornaments all around. Small dimensions, usually overstruck on coins of Nicephorus II Phocas (963-969) and Constantine VII Porphyrogenitus (913-959). The dating of these coins is assured by the literary information. They were probably minted starting from the reign of John I Zimiskes and at the beginning of the combined reign of Basil II and Constantine VIII (976-1025). The period of time of this class is probably 969 and 989, year when Bardas Phocas the usurper was killed by Basil II. The overstruck coins are usually common. It is similar to A 1 as far as its description is concerned; however, it can be distinguished by its larger size. The increase of weight suggests a period of prosperity. So the dating can be traced back from 989 to the death of Basil II in 1025, a period of great power for the empire. It is possible that this type continued to be minted after 1025, until 1028, during the sole reign of Constantine VIII. These coins are not overstruck on other coins. Bellinger devides this Class A in 3 subtypes. A 1 small flans, A 2 intermediary flans and A 3 large flans. Thompson proves that the intermediary flans are not a subtype but a variation of the large and small types. So she uses the A 1 name for the small ones and A 2 for large ones. Obv. Christ bust. IC-XC on sides. +„MANOVHΛon right and left. Rv. Cross on steps. Inscription in angles of the cross: IC-XC// bAS-ILE/bAS/ILE. This class was minted during the reign of Roman III Argyrus (1028-1034). The date is assured by its overstruck coins on Class A 1 and Class A 2 coins. These overstruck coins are common. Obv. Christ Figure, about 1/3 of the body. IC-XC on sides. These coins are dated during the reign of Michael IV the Paphlagonian (1034-1041). These coins are overstruck on Class A 2 and sometimes Class B.
Obv. Christ on throne with back, blesses with his right hand. IC-XC. Rv. Inscription in 3 lines: ISXS/ bASILE/bASIL. Above Cross. This coin is minted during the reign of Constantine IX Monomachus (1042-1055). These coins were overstruck on class C and sometimes class B and Class A 2. This coin was minted during the reign of Isaac I Comnenus (1057-1059). Overstruck coins are known on class D but still scarce. Obv. Christ on throne without back, blessing with right hand. IC-XC. Rv. Inscription in 3 lines: ISXS/ bASILE/bASILE. Above Cross. This coin is dated 1059-1067. It is Wroth Class V.
These coins were minted during the reign of Constantine X Ducas (1059-1067). These coins are overstruck on Class E, C and B and sometimes on Constantine X coins. Minted during the reign of Romanus IV Diogenes (1067-1071). Overstruck on previous issues and issues of Romanus IV. 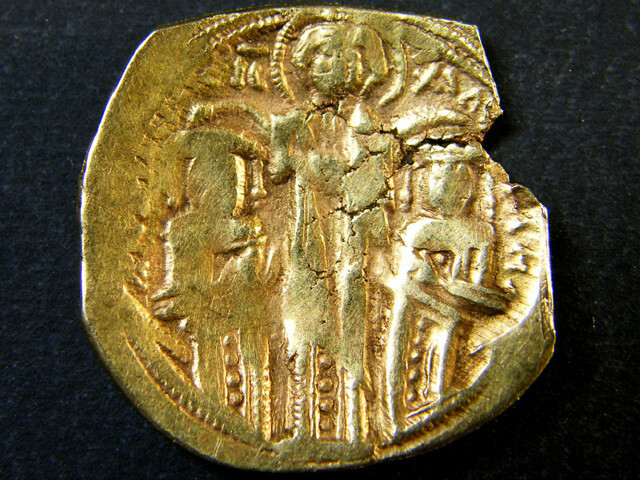 Struck during the reign of Michael VII Ducas (1071-1079). Obv. Similar to class H.
Struck during the reign of Nicephoros III Botaniates (1078-1081). Obv. Similar to class H and G but with cross behind head. Rv. Latin cross on crescent. Struck from 1081 to 1118, during the reign of Alexius I Comnenus. Rv. Half-length figure of Virgin. 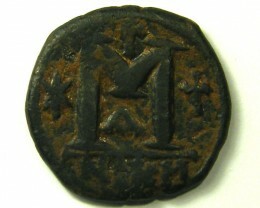 Minted at the same time as class J.
Minted at the same time as class J and K.
This coin was probably minted during 1081-1118 and it is very rare. It must be said that the date of this coin is still unknown. We gave Margaret Thompson dates, but since then new scientific research papers appeared (Grierson, C. Morrison, Sear and so on). These coins have a particular appearance and usually are the first ones in a collection of Byzantine coins. People like them so much that these coins are the first from their future collection.